StageBuzz.com: Interview with Darian Dauchan of "Death Boogie"
Darian Dauchan is an accomplished solo performer and actor who has appeared on both Broadway (Twentieth Century starring Alec Baldwin and Anne Heche) and Off-Broadway theatre (Jean Cocteu Rep., Classical Theatre of Harlem). 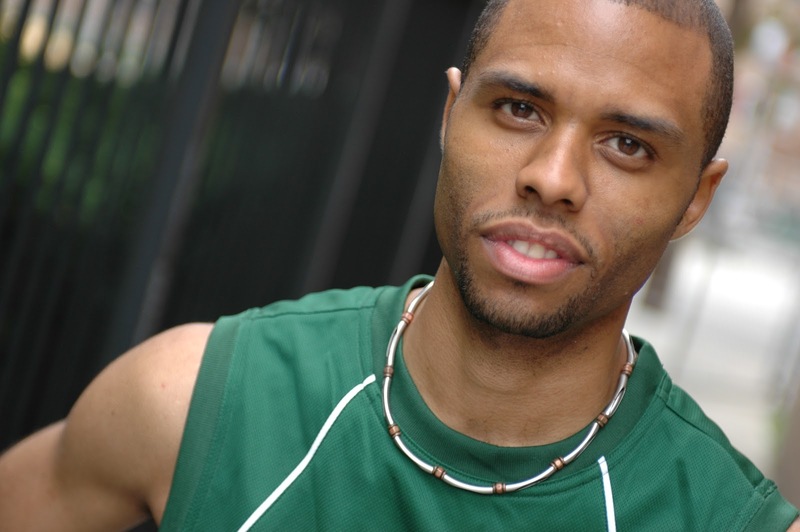 TV credits include "Law and Order" and Nickelodeon's "Bet the House," as Darian the "SoundFX" Guy. His solo shows have been produced, workshopped, and presented at the Roundabout Theatre Company, Classical Theatre of Harlem, NYC Fringe, Access Theatre, Kitchen Theatre Company (Ithaca, NY), Playhouse on the Square (Memphis, TN), Whitefire Theatre (Los Angeles, CA), and Theatre ROW. 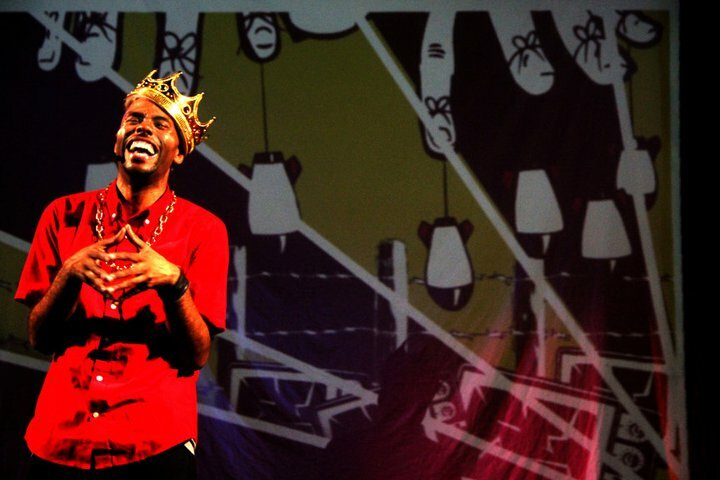 As a performance poet, he was a member of the 2006 National Poetry Slam Team for the legendary Nuyorican Poets Cafe, was crowned the 2007 Urbana Grand Slam Champion for the Bowery Poetry Club, was a 2008 Nuyorican Grand Slam Finalist, and was the 2009 New Word Artist for Urban Word NYC. His popular Obama poem during the historic 2008 election has received over 69,000 views on YouTube and counting. He's currently featured on the FIAT Storyteller's Series. He is the founder of the Spoken Word Almanac Project, and most recently received a grant from the New York State Council on the Arts, and is a semi-finalist for the Jerome Foundation's Stakeholder's Choice Award. His band The Mighty Third Rail, a 3-man trio, which combines hip hop poetry with beat-boxing, violin, and upright bass, have released two albums "Classic" and "Death Boogie," that are now available on iTunes. Tell me a little bit about Death Boogie. 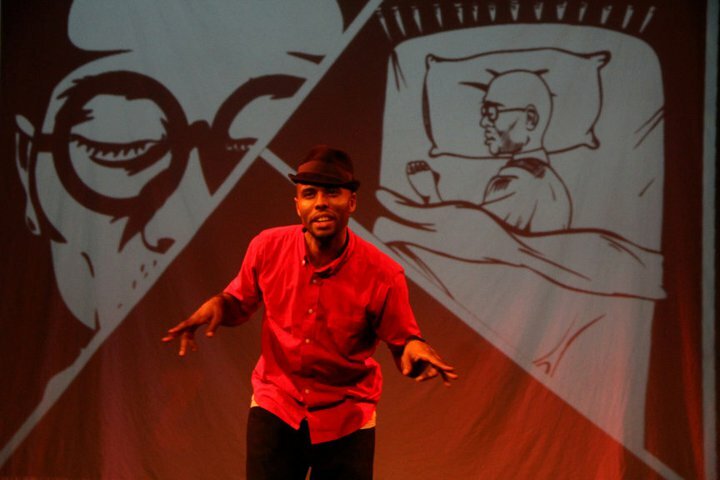 Death Boogie is a multimedia Hip Hop Poetry Musical that follows the fictional story of Victor Spartan, a blue collar worker who lives a comatose lifestyle by day and at night, hears the poetic sounds of revolution. It's a bit of a political romp with a Pee Wee Herman meets Che Guevara type flare if you can believe it, combining music, poetry and comic book illustrations. I was selected as the 2009 New Word Artist for Urban Word NYC in conjunction with the Dance Theatre Workshop, now known as New York Arts Live, to develop a new piece during my residency. I already had three solo shows under my belt, but I had most recently been very much involved in the spoken word community, performing and slamming my own poetry, which lead to me forming the band trio, The Mighty Third Rail, which combines performance poetry with beat-boxing, violin, and upright bass. So, I knew I wanted to do something aesthetically different from anything I'd done before in the traditional theatre sense. Death Boogie was an attempt to combine all of the things that I had been working on since graduating from NYU. My solo work in theater, my poetry in the spoken word community, and my music with the band, all rolled into one. I've always worked with multimedia in my shows, but I wanted this one to be a little more abstract and heightened, so creating a comic book world that serves as the backdrop but is also interactive, seemed right for the piece I wanted to tell. The piece ultimately examines martyrdom and altruism from various perspectives. Primarily through the main character's metamorphosis from pedestrian to protestor, but also from the characters he meets along the way from a soldier, to a Greek Titan, to a cheetah, to a prisoner of war. Death Boogie is a metaphor for having the courage to stand up and fight for what you believe in, in spite of the risk, whether it be persecution, arrest or even death, which has always personally fascinated me. Coincidentally, in the last year, there's been quite a lot of Death Boogie going on all over the world. A global Death Boogie, if you will. Citizens of the world getting their righteous groove on. It's a one-man show, but of course, others are involved. Tell me a little bit about your team. I actually don't really see it as a solo show. Sure, I may be the centerpiece, but there's three of us onstage, so I'm performing with two phenomenal musicians, violinist Curtis Stewart, and bassist Ian Baggette. Together we make up the band The Mighty Third Rail, and there very much involved in all the numbers in the show. So, the piece is theatrical, but it's also a bit of concert too, for those that also want to see us jam. In regards to to the rest of my team, I've been really, really, fortunate to work with some great people who really believe in the piece from my director Jennifer McGrath, to associate producer Malcolm Barrett, to the illustrator David Ayllon, to the media design by Room404 Media, to even the technical aspects on stage (Gina Costagliola, Jared Silver, Alex Fletcher) to the sound (Gibson Entertainment Services: Dave Gibson and Russell Cowans). So, as you can tell, there really is no such thing as a "one-man" show, unless of course you're directing, producing, performing, and running your own lights, vids, and sound cues. Then I would say "Yes, absolutely, a one-man show indeed". What is next for you after the festival? I actually just found out I was selected to be a semi-finalist for the Jerome Foundations Stakeholder's Choice Award. So I'll be developing a piece called Obamatry: A Spoken Word Remix on the 44th President of the United States, which will obviously be about his first term, through the bias lens of one socially conscious poet, being yours truly. It'll be a mix of my poems performed live and his speeches via multimedia, which I'll be presenting the first excerpts of at the Bowery Poetry Club in either late February or early March. After that it's Death Boogie again for the Downtown Urban Theater Festival at the HERE Arts Center in mid-March. If you had to describe Death Boogie using only three adjectives, which would you choose? Hmmm... how about Zany, Political, Fun.